Youtheory Racing’s No. 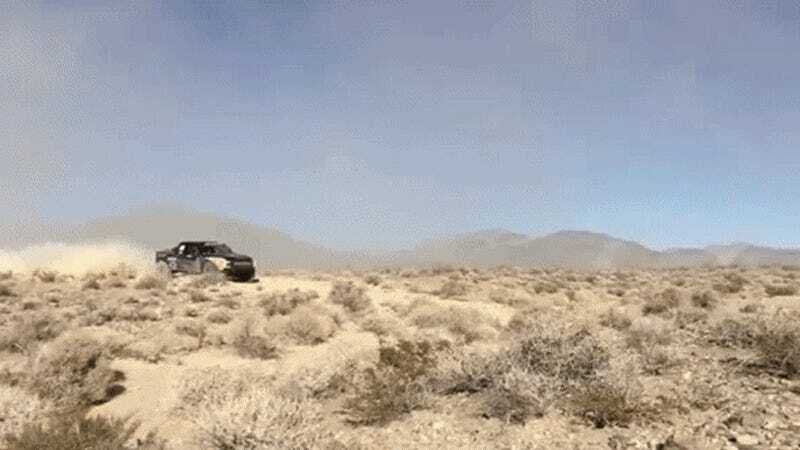 55 truck sent a wheel flying across a desert when their truck landed nose-first into the dirt while trying to qualify for the Pahrump Nugget 250 Best in the Desert race. No one was hurt, but it just looks like a ridiculous trucksplosion. They’re just going along, flying easily through the desert, and then FOOM! That’s all it takes: one bad landing. The duo inside, Matt Haney and Anthony Terzo, were both fine, the team confirmed via Instagram. The onboard footage certainly looks like it’ll be a sore week for these guys, though. At least one photographer along the course, John Tuba, said he had to get up and start running from the flying tire.